At Denton Optometry, we perform expert contact lens fittings. First-time contact lens wearer? 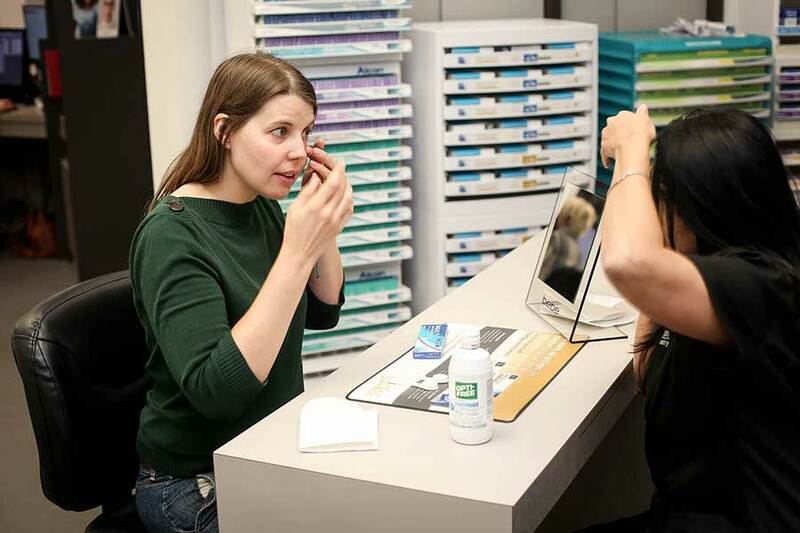 No need to worry, our staff will teach you how to put on and care for your contact lenses. We carry the brands you know and trust, plus you can find extra savings through rebates and special offers listed below. Need to reorder contacts? We have made it a breeze—give us a call or use our form below to order online anytime. Fill out rebates available from contact lens manufacturers online! Just have your receipts for your exam, your contact lens purchase, and the rebate form provided by our office handy in order to complete your rebate. If you need another copy of any of these documents, just get in touch with us!